This diamond holesaw is the drill bit of choice for the professional stonemason looking for speed and economy when it comes to hole cutting. 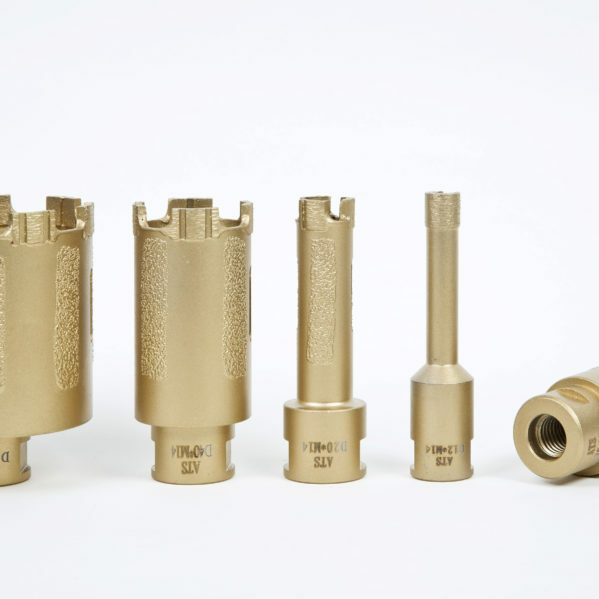 Designed predominantly to drill granite dry, it will drill through pretty much any stone that’s very hard with a good lifespan. M14 fitting to attach directly to your grinder. All the sizes have an overall depth of cut of 50mm. 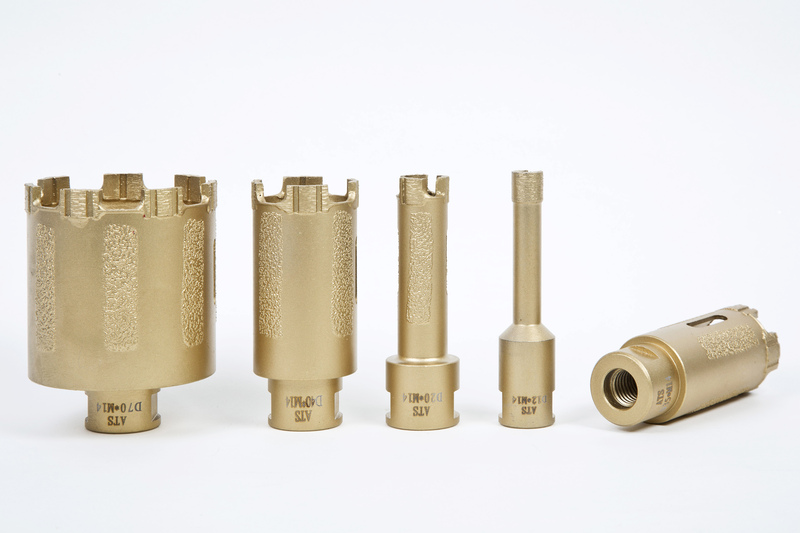 Adapters are available should you want to use these bits in a regular three jaw chuck.